Nanny Available was established to help nannies, babysitters and child care providers just like you find the best babysitter and nanny jobs currently available in Shreveport, Louisiana LA. We currently have many employers throughout Shreveport looking for babysitters and nannies to begin working for them. 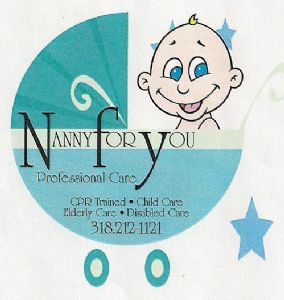 Whether you are looking to enhance your child care skills or are already an established babysitter or nanny, simply register at NannyAvailable.com and complete your child care profile to let the thousands of employers in Shreveport, Louisiana LA looking for a babysitter or nanny find you. Posted February 14 by Sanjeet K.
Posted November 6 by Jesilyn F.
Posted April 1 by senobia C.
Posted May 13 by Kimberly C.